Scroll down for our latest posts, or visit our Facebook page here for a full news feed overview. In case you were not able to visit us at our booth at the last SAA meeting in Albuquerque, why not have a listen at the Archaeotech podcast Episode 102, on the Archaeology Podcast Network, where we were interviewed, and learn more about the InTerris Registries system. Also for people who did visit our booth. The InTerris Registries booth set up and ready for business at the SAA 84th Annual Meeting in Albuquerque, New Mexico, from April 10 - 14, 2019. Come visit us at our booth and see and hear everything about the existing functionalities as well as the developments on the new collection management features and module. Also: Have a listen to the latest Archaeotech podcast on the Archaeology Podcast Network where we were interviewed, and learn more about the InTerris Registries system before (or after) visiting us at booth #109. 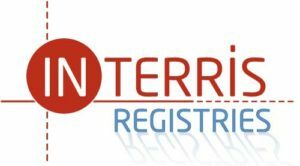 InTerris Registries will be present with a booth next week at the SAA 84th Annual Meeting in Albuquerque, New Mexico, from April 10 - 14. Come visit us at our booth #109 and see and hear everything about the existing functionalities as well as the developments on the new collection management features and module. In the meantime! Have a listen to the latest Archaeotech podcast on the Archaeology Podcast Network where we were interviewed, and learn more about the InTerris Registries system before visiting us at booth #109 at the SAA 84th Annual Meeting next week. SAA's Annual Meeting brings together the archaeological community to share ideas, best practices, and state of the art knowledge; meet and network in interest groups, panels, symposia, and committees; and to celebrate their field. Just out! Have a listen to the latest Archaeotech podcast on the Archaeology Podcast Network where we were interviewed, and learn more about the InTerris Registries system. From artifacts to excavation levels. The InTerris Registries booth set up and ready for business at the Society for California Archaeology 53rd Annual Meeting, in Sacramento, California, March 7—10, 2019. Come visit us at our booth and see and hear everything about the existing functionalities as well as the developments on the new collection management features and module. InTerris Registries will be present with a booth next week at the Society for California Archaeology 53rd Annual Meeting, in Sacramento, California, March 7—10, 2019. Come visit us at our booth and see and hear everything about the existing functionalities as well as the developments on the new collection management features and module. The Coalition for American Heritage is made up of heritage professionals, scholars, small businesses, non-profit groups, and history-lovers from across the country who work together to support and promote our nation’s commitment to historic preservation.